Everyone has their definition of a “dream job.” Some people are more suited for a desk job, while others are fit to do a hands-on career. If you are still thinking of a good industry to break into, consider the plumbing trade. The trade specializes in the installation, assembly, repair, and maintenance of piping and plumbing systems. In today’s post, we’ll talk about what the profession entails and the qualifications it needs. On call 24/7, helps you in time of (plumbing) troubles, saves the days and returns your house to working order – plumbers are essentially superheroes of the modern day. It’s unfortunate that there is a shortage of plumbers across the country; we think it’s because not many people are aware of the advantages and rewards of the trade. Looking for a Plumbing Technician Job? Get in Touch! If you are interested in joining the plumbing trade, submit your name and email address and we will discuss the many opportunities the industry offers. However, according to the Bureau of Labor Statistics, the demand for plumbers, along with steamfitters and pipe fitters, is projected to increase up to 16 percent from 2016 to 2026. This growth is quicker than the average for all the other professions. The drive for the demand for these professions is brought by building maintenance for new and existing establishments and new construction. What Skills Should a Plumber Have? While there are several characteristics and traits many plumbers possess, there are specific ones that allow them to succeed in the trade. As a plumber, you are regularly communicating with property owners – whether it’s residential or commercial. You need to have a productive talk with them to determine what their specific plumbing issues are and what they are looking for. To be a useful plumber is to be a good communicator. Plumbing emergencies can happen anytime. A water heater may stop working at 5 in the morning. A homeowner’s pipes may burst on a Saturday night. Thus, many local plumbing companies offer 24/7 emergency services. As such, you should be open to having flexible working hours when you enter the trade. Throughout the career of a plumber, many job-related issues and emergencies will inevitably arise – some will be minor, others may be severe. Thinking on your feet, being rational, and solving problems for your client should come easy for a plumber. With the advancement in plumbing technology and equipment come new skills and disciplines to learn. Thus, an eagerness to learn should come naturally for plumbers. There are also continuing training and education to be able to continue practicing the profession or advance in the field. There are situations where plumbers need to take care of issues that property owners are not aware of or familiar with. It’s essential to be someone your customers can trust and depend on. Don’t tarnish your reputation by only half-completing the job or overcharging because your customers wouldn’t have a clue. Plumbing is very much a hands-on profession. Thus, you must enjoy this type of working environment right off the bat, as opposed to say, a desk job or working in an office. Do You Have the Skills and Traits Listed Above? If yes, a plumbing career may be the right professional path for you. The first steps you need to take towards a plumbing career is getting your high school diploma or GED. From then, you can obtain plumbing vocational classes at a technical or trade school or your community college. After that, apply for a plumbing apprentice program, which allows you to earn while you learn on the job. After completing your apprenticeship, you can then obtain your state license. It’s a profitable trade. Plumbers are one of the most well-paid contractors in the United States. Aside from being a professional, plumbing skills are extremely useful and will help you tremendously in life. The advancement and evolution of construction technologies make the field exciting. You can interact and learn from many people every day on the job. You’ll never be out of work. 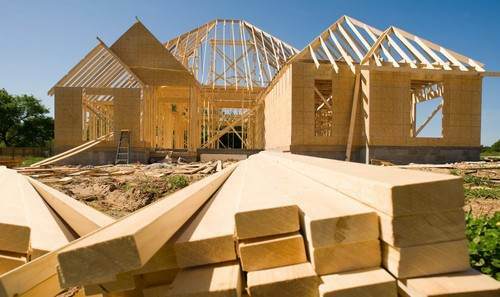 There’s never going to be a shortage of new construction or building maintenance. 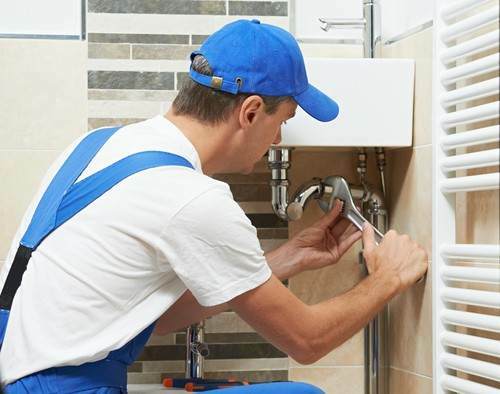 Thus plumbing services are consistently going to be in demand. Additionally, whether the economic times are good or bad, there’s always going to be work. Plumbing apprenticeship programs allow apprentices to learn on the job while they earn. If you’re interested in becoming a plumbing technician with of the best local plumbing companies in Waco, please get in touch with our Employment department. We are a proud member of Quality Service Contractors, a prestigious branch of the Plumbing Heating Cooling Contractors Association. We are looking for quality talent to join our team.